Vom 15.02.2017 bis zum 16.02.2017 wurden 27 Knowledgebase Artikel veröffentlicht. Titel: Microsoft Windows Server Failover Clustering on VMware vSphere 4.x: Guidelines for supported configurations. There are improper antivirus configurations on the Horizon Mirage server or endpoint. Tasks that involve copying and replacing files conflict with the antivirus configurations. NSX SSL-VPN clients fails to connect. Installing or upgrading VMware Tools using default installer settings on Oracle Linux with kernel 2.6.39-400.245.1 crashes the operating system. Virtual machine application performance is poor when compared to another host. Applications run slower than expected. When they are moved to another host, performance improves. Virtual machines encounter higher than expected CPU %Ready times in ESXTOP. Processor Power Management (Power Saving, Power Scaling) is impacting application performance on virtual machines. vDGA/vSGA performance is sluggish on View desktops. Tera2800 performance is less than expected in a View PCoIP session. vCenter Orchestrator 4.2.x and 5.1.x run in JBoss which uses Apache Tomcat 5.5 as a Web container. vCenter Orchestrator 5.5.x runs in vFabric tc Server 2.9. Due to a security vulnerability in SSLv3, you must disable SSLv3 manually. Note: SSLv3 in vRealize Orchestrator 6.0.x is disabled by default. This article provides vCenter Server 6.0 requirements for installation.Note: This article assumes that you have read the vSphere 6.0 Installation and Setup documentation. The documentation contains definitive information. If there is a discrepancy between the documentation and this article, assume that the documentation is correct. 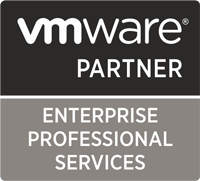 Ensure that you have read the known issues in the VMware vSphere 6.0 Release Notes. DFW rules with the „Applied To“ field set to Security Group are not pushed to ESXi hosts in a new cluster. To maximize the space savings provided by vSAN (formerly known as Virtual SAN) deduplication, the default configurations created by Horizon View for full-clone pools must be modified. This is accomplished by changing the applicable storage policy. Web page timeout error when downloading the Controller Tech Support log bundle from Networking & Security > Installation > Management. Downloading the controller log using GET https://NSX-IP/api/2.0/vdn/controller/controllerId/techsupportlogs fails with HTTP 500 error response. Lookup service is not configured, the group based role assignment would not work…. performance as compared to physical hosts.